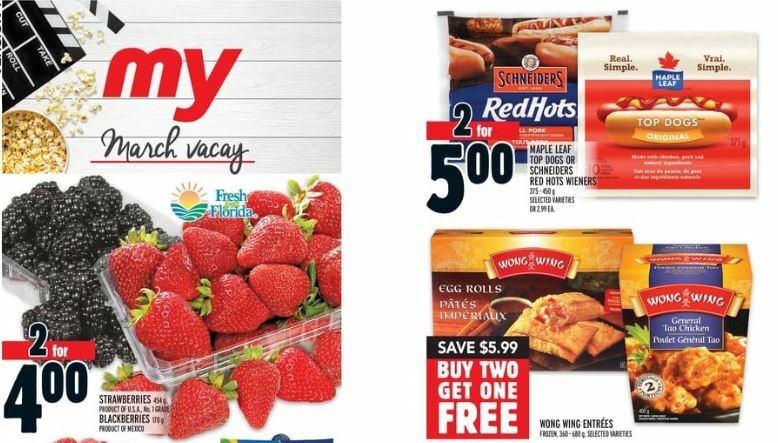 This week Metro Ontario has Maple Leaf Top Dogs on sale for 2/$5, and there are a couple of different coupons that you can use to get them for just 50 cents each. There is a tear pad coupon for $2 off the purchase of select Maple Leaf products including Top Dogs. The second coupon is from a booklet with coupons for a variety of Maple Leaf products. This booklet also includes a coupon for $2 off, valid on the purchase of Maple Leaf hot dogs or Top Dogs. Use either of these coupons and pay just 50 cents each. While these aren’t completely free with the coupon, keep in mind that these coupon are only valid until the end of the month. This could be the last chance to get them at a good price with the coupon, so it may be worth picking some up for 50 cetns each. Click here to view this offer in the Metro Ontario flyer.